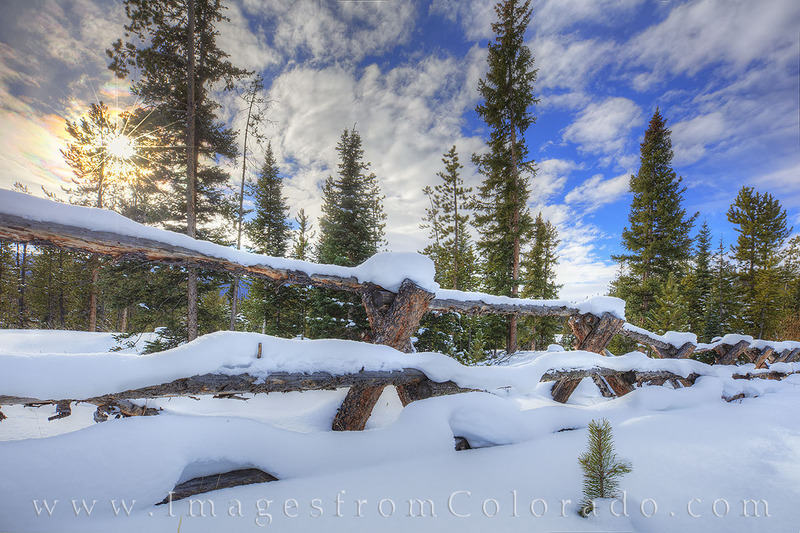 This old wooden fence stands covered in an overnight snow as the sun rises to warm the landscape. Taken in Grand County on a beautiful December day, this photograph shows the wonder of fresh snow and quiet solitude found in the mountains. Photo © copyright by Rob Greebon.